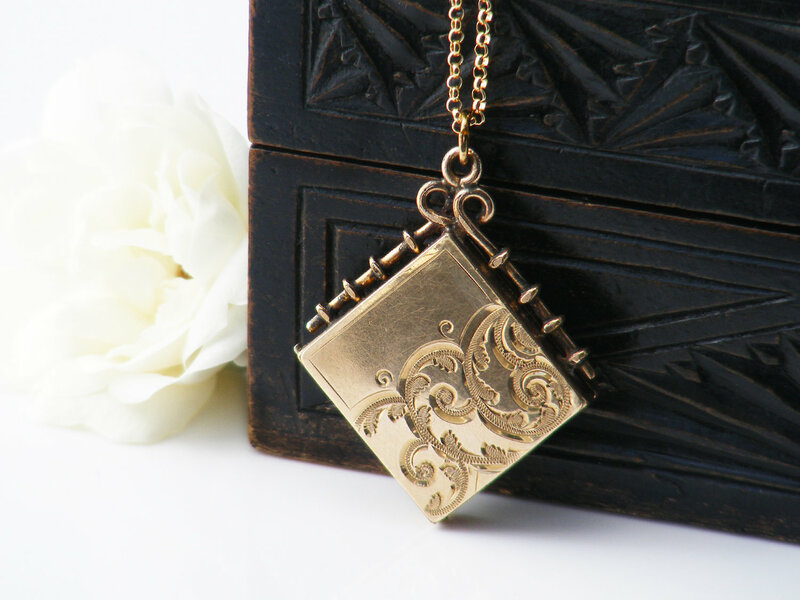 A very attractive Victorian fob locket that is stylishly embellished with ornate acanthus leaf scrolls and lovely shimmering contrasts between the polished gold and the engraving. The gold is yellow gold filled, the maker's mark can be seen on an inside cover, 'SKM CO', a company known for their quality work. Both photo frames are present on the inside with new black liners.hinged down one lower side and opens towards the back (will open completely flat. 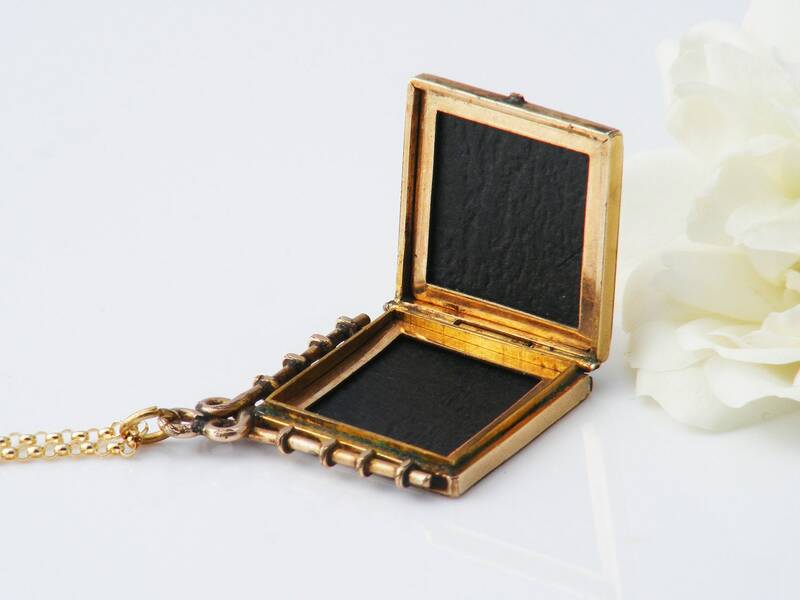 Locket Size: larger than the norm for this style of locket - 1.1 inch or 28mm corner to corner horizontally, 4.5mm in thickness. The drop from the chain including the fancy bail is is 1.5 inches or 38mm. Condition: very, very good. 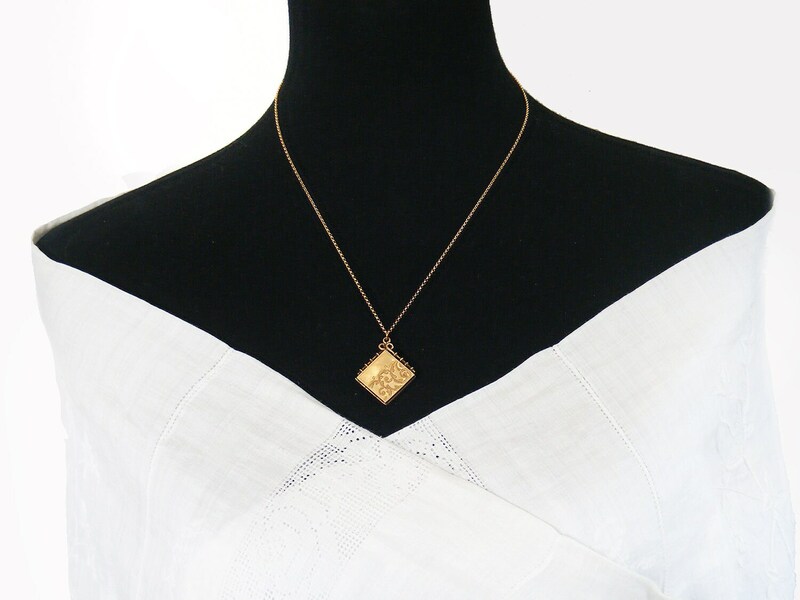 No sign of any wear-through to the gold fill on the locket covers, though some wear to the wirework bail. Hinge and closure both excellent - this is a very strong, well-made locket. Presented on a new 20 inch or 51cm chain in 14ct gold fill, stamped to the clasp. Photograph #3 shows the locket and chain on a life size torso. 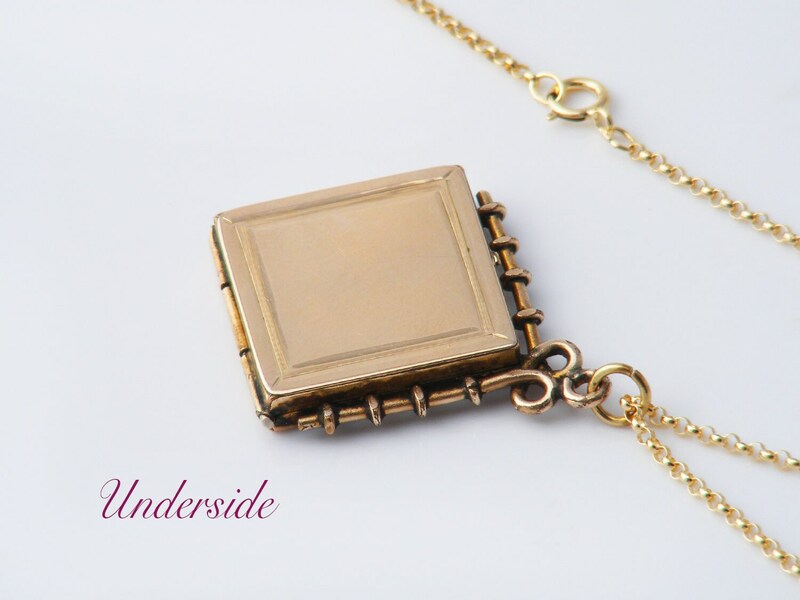 A simple fob locket that places all the attention on the gleaming gold and bright little rubies. 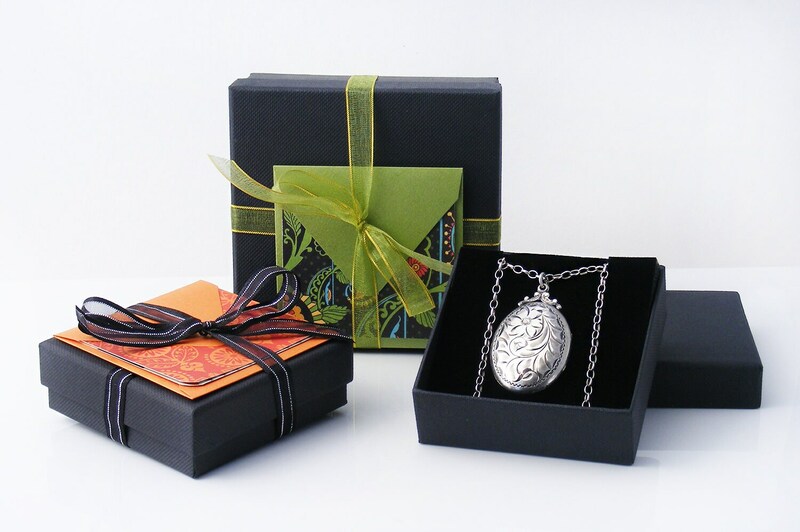 The beautiful handmade bail completes a very elegant piece.